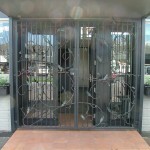 Our front gates are on the move and so are we! 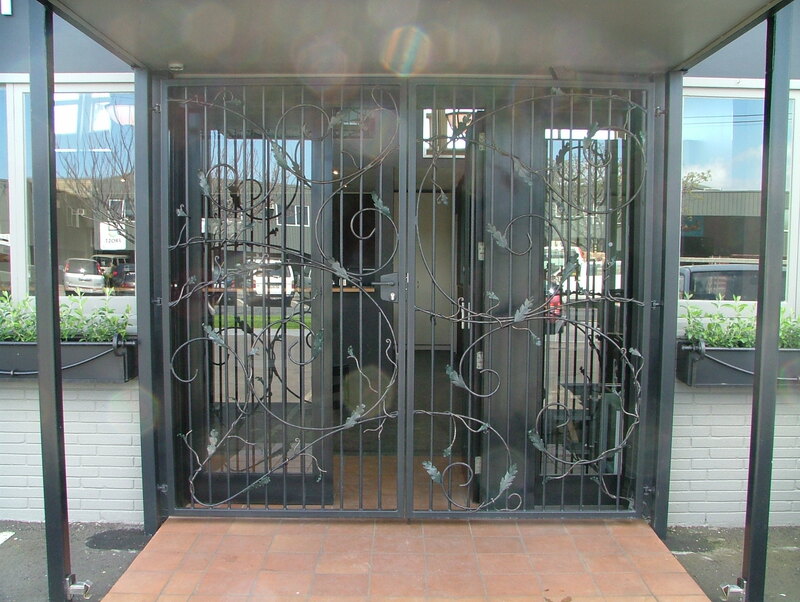 For summer entertaining, an exciting addition to our Outdoor Furniture range. 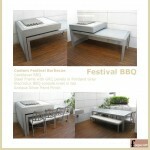 In Festival style, cantilever custom BBQ plinth with inset flush stainless steel Electrolux BBQ. Pictured here the Festival table legs have been fitted with castors to allow the table to easily slide out from and back under the cantilever BBQ. 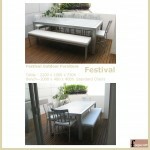 Dining chairs and bench seat are standard Festival furniture items. 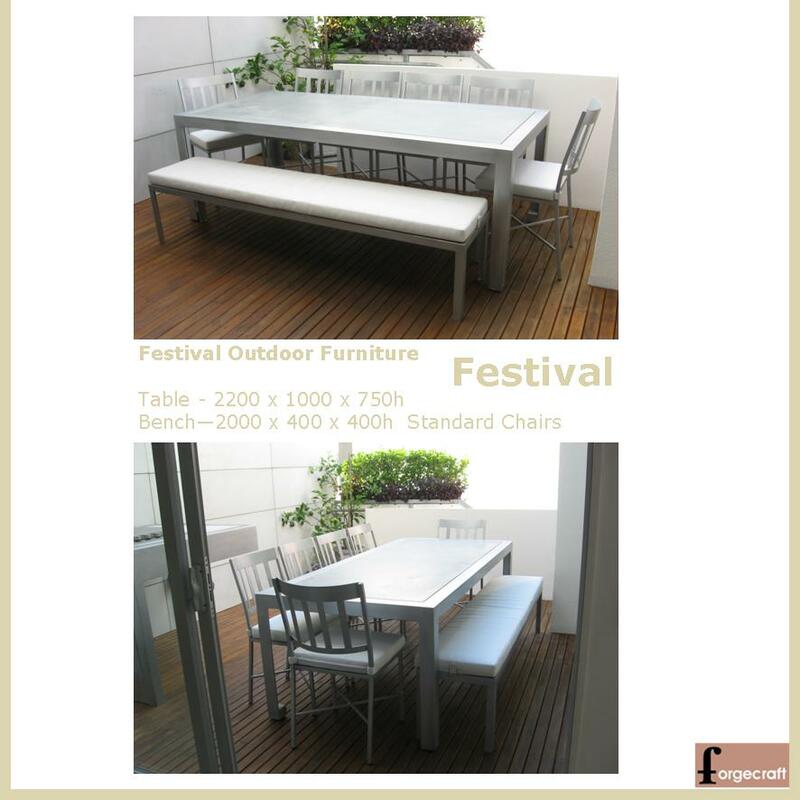 The Festival table and BBQ can be customised to suit any outdoor living area, whether it is an apartment balcony or alfresco dining in your own “Great Open Space”.